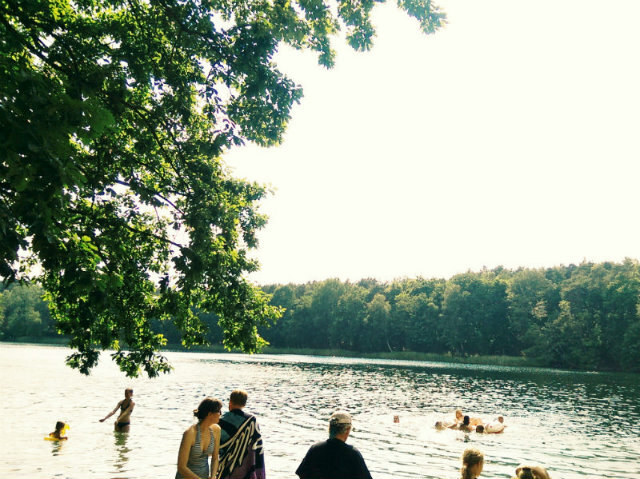 Berlin’s lake culture is one of the best parts about summer in the city so we’ve got profiles to help you find the Berlin lake for you. 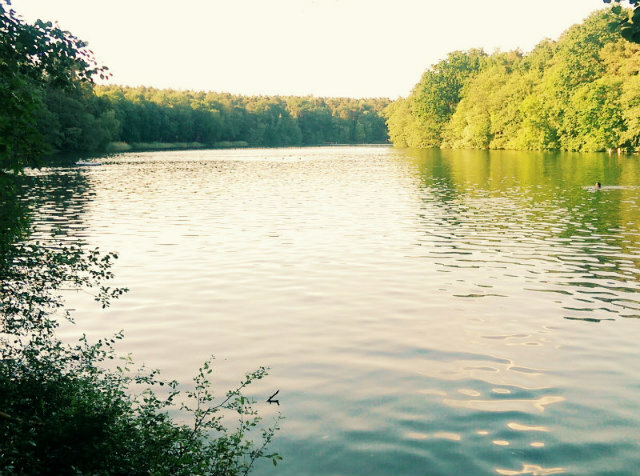 An all-time favourite, Schlachtensee is popular for its leafy setting on the edge of Grunewald forest and the ease of reaching from the centre. The S-Bahn will drop you off at Schlachtensee station, right next to the lake. The other side of the lake can easily be reached by a short walk from Mexikoplatz, taking you through streets lined with villas housing Berlin’s bold and beautiful who evidently also fell for Schlachtensee. During the summer it is always busy with weekend escapees and students who evidently couldn’t care less about their coursework. Yet, if you walk along the lake on either side you’ll be able to find a quiet spot in bays separated by trees. 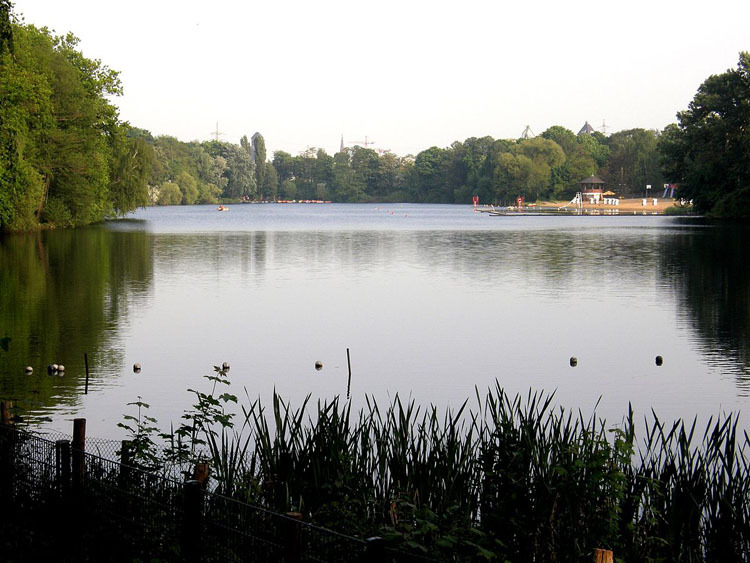 FKK is less common at Schlachtensee, but you’ll find a mix of all Berlin types – students, nudists, families. There’s an Imbiss and a restaurant on hand, with the latter cashing in on its lakeside views with pricey offerings; opt for the fruit market instead.. Bring a blanket, as the ground is muddy and take your picnic with you. Best for: Busy people looking for a quick get-away, students, picnics. Better to avoid: overpacked lawns, overpriced restaurants, dogs. 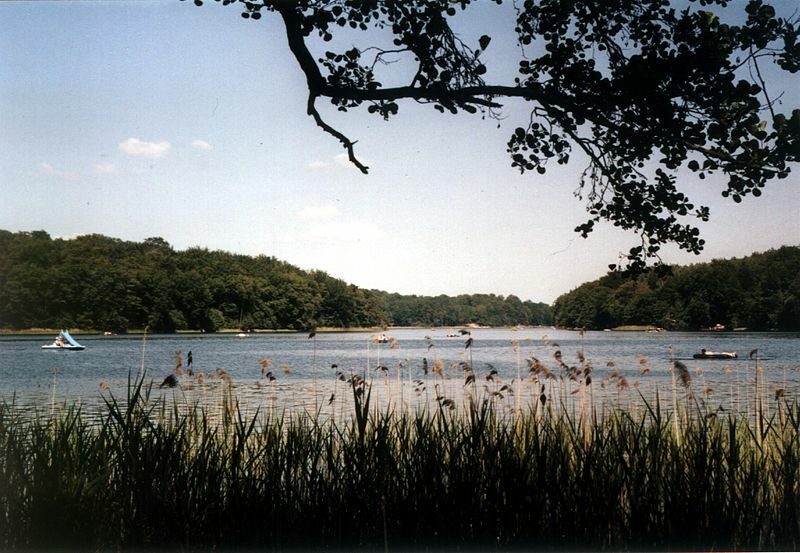 Writing about Liebnitzsee is tricky, given that you are talking about a vital part of the childhood memories of so many Berliners. Venturing out to this beautiful piece of Brandenburg is not an ordinary trip to a Berlin lake – it’s more like a mission to escape the city and find peace of mind (and great, clear, water). Head there during the week for peace and quiet, and on a sunny weekend to find yourself in a large group of Berliners eager for relaxation. You’ll either have to pack your bike on the S-Bahn to Bernau to take a leisurely cycle from there or take a bus which can get busy over the summer. Either find yourself a quiet spot in the forest surrounding the lake (bring a blanket and your own supplies of food and drinks!) or head to the western shore, which offers a Strandbad including imbiss and boat rental. In the middle of the lake, there’s an island which also offers a beach and can be reached with a ferry shuttle from the northern shore or by swimming over. Best for: water purists, lake enthusiasts, day trippers, cyclists. Better to avoid: the overcrowded beach on hot days, over-eager canoeists. Unlike her bolshier, bigger neighbours, Plötzensee is a kind of quiet idyll, unless of course, it’s a weekend. Head over during the week (even after work has let out) and you’ll find a handful of solitary swimmers steadfastly ploughing the length of the thing and one or two FKK enthusiasts sunning themselves. Over the weekend the place is overrun by kiddies and parents, pedallos and dinghies, as well as some clandestine, verboten, grillen. There are better places if you’re hoping to have a kick about or play frisbee, but for serious lounging in the sun, you’ll struggle to do better. Unless you’re prepared to shell out for the beach side, Plötzensee requires a little bit more preparation than your average lake. There’s little by the way of amenities, so pack carefully. Bring a big sheet as well as your towels and bring plenty to drink as you’ll be hard pushed to find anywhere selling much of anything (save the brave more solid trawling up and down with a cool box full of Späti-bought beer). Most Weddingers head over to the stepped side for maximum sun and minimal incline, away from the water’s edge to enjoy a beer or two with some Kartoffelsalat. Best for: Weddingers, families, FKK (limited areas only), decent swimming. Better to avoid: groups with dogs, BBQ keenos, ball game hopefuls. A perfect spot to unwind after classes, Krumme Lanke is a student summer favourite. Tucked away at the bottom of the U3, it’s a short train ride from the Freie Universität and easily accessible from all over the city. The magic of this lake is that it feels secluded and natural despite being close to the station and local shops. You can pick up a picnic from Kaisers and be at the edge of Grunewald Forest in five minutes. Once you reach the lake you can choose to sunbathe in a sandy clearing or find a more private area of shade under the trees. Although often busy on a hot day, it rarely feels crowded and is clean and unspoiled. There’s plenty of wildlife to be seen, from herons and frogs to the rather friendly ducks (who may make a beeline for your food!). With clear waters and beautiful scenery, a swim is a must. Wade into the shallows or climb one of the overhanging trees and jump in, you’ll find that the local kids have made their own make-shift swings out of ropes and tyres too. The paths around the water are great for a bicycle ride, jog or leisurely walk. Best for: swimming, picnicking, escaping the library. Better to avoid if: you’re not keen on creatures getting up close, East Berliners (too far), shy folks (FKK alert! ).